ISLAMABAD – An impressive contemporary art exhibition titled ‘United – in the age of dialogue’ featuring artwork of around 100 artists from all over Pakistan was opened here at National Art Gallery in Islamabad on Tuesday. 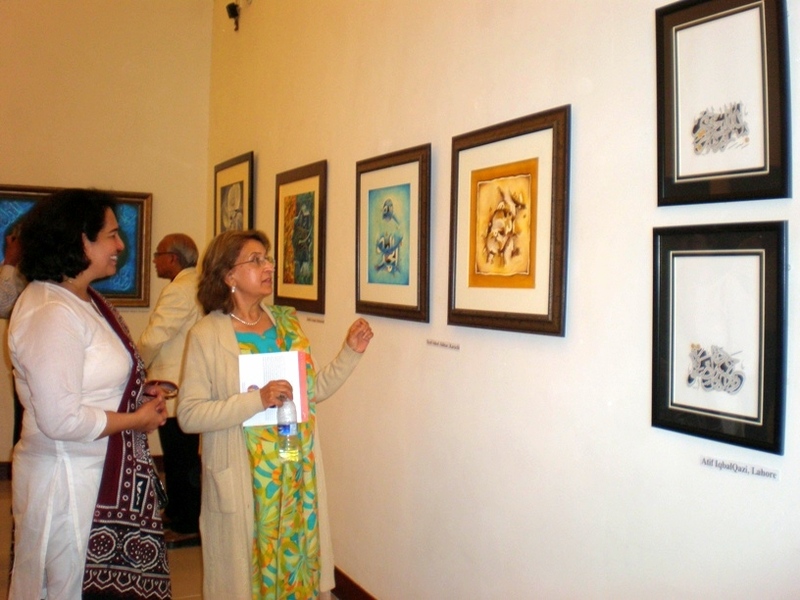 The exhibition organized by Rastay (NGO), a forum to promote art and culture of Pakistan, was a well-attended event and the chief guest of the occasion was Federal Information Minister Dr. Firdous Ashiq Awan. 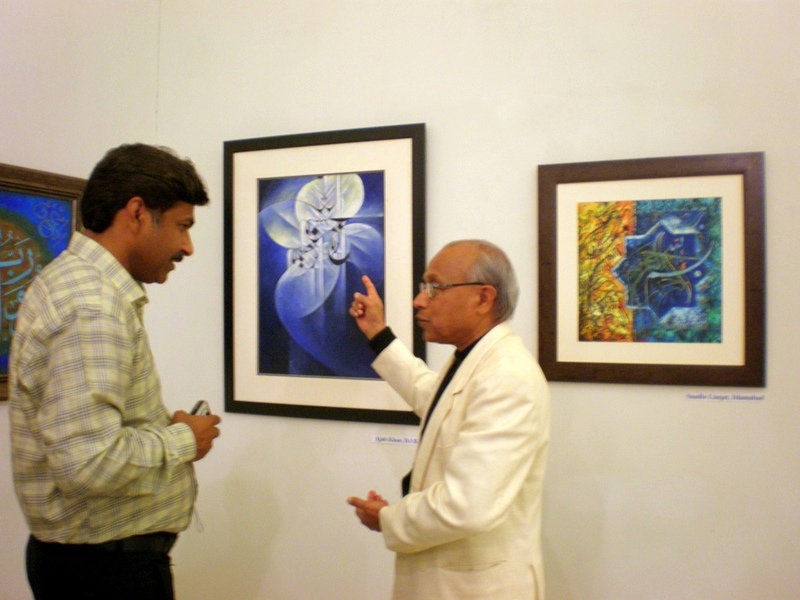 Artist Mansoor Rahi discussing the nature of art. The four-day exhibition features grand collection of authentic artworks in the medium of paintings, prints, drawing, sculpture and photography. The art show was an excellent combination of the work of both, senior and junior artists as one can find the work of some renowned artists such as Mansoor Rahi, Ghulam Rasul, Saeed Akhtar, Nahid Raza, Shahla Rafi, M. Sulehri. While the work of some promising artists Farrah Adnan, Bushra Saadat, Tashfeen Majeed, Abdullah Qamar, Malik Tariq bear out that the future of Pakistani artists is brilliant in the days to come.“This exhibition is a ray of hope for the artists who have completely submerged to hidden part of the country like interior Sindh, hazara and Balochistan” remarked Mansoor Rahi who had the privilege to teach at least three-fourth of the artists whose work was on display. United – in the age of dialogue explores art as a powerful means for developing communication by featuring a medley of art work by meritorious Pakistani artists and it focuses on the vital theme of igniting dialouge in an age of clash of civilizations and to enhance pluralism through art discourse as art is a great medium that serve as a catalyst in resolving conflicts, creating avenues to advocate one’s own view peacefully. Jamal Shah, an actor who was also present at the occasion, said that “art is a means of communication which links us with society creatively and critically” and it should be promoted to propagate peace.